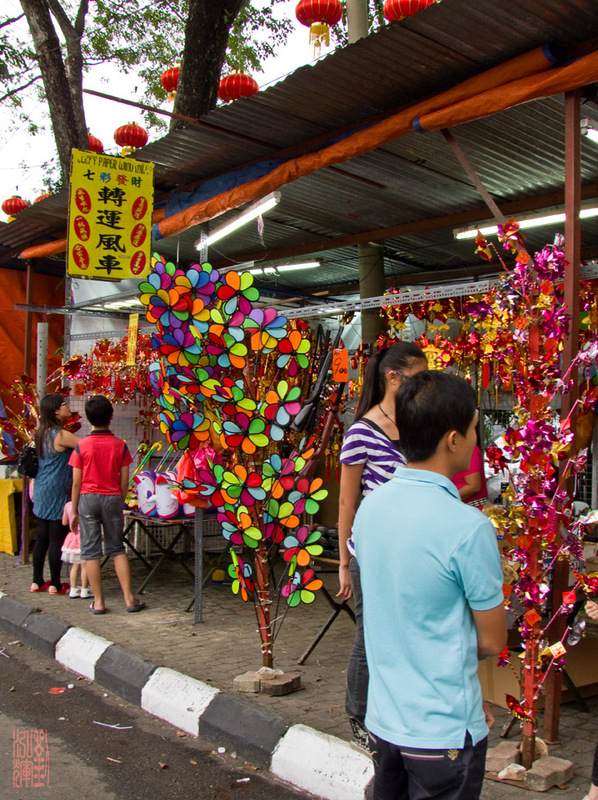 The usually quiet Thean Hou Temple at Robson Hill, Kuala Lumpur turns into a hive of activity come Chinese New Year. This year is no exception. 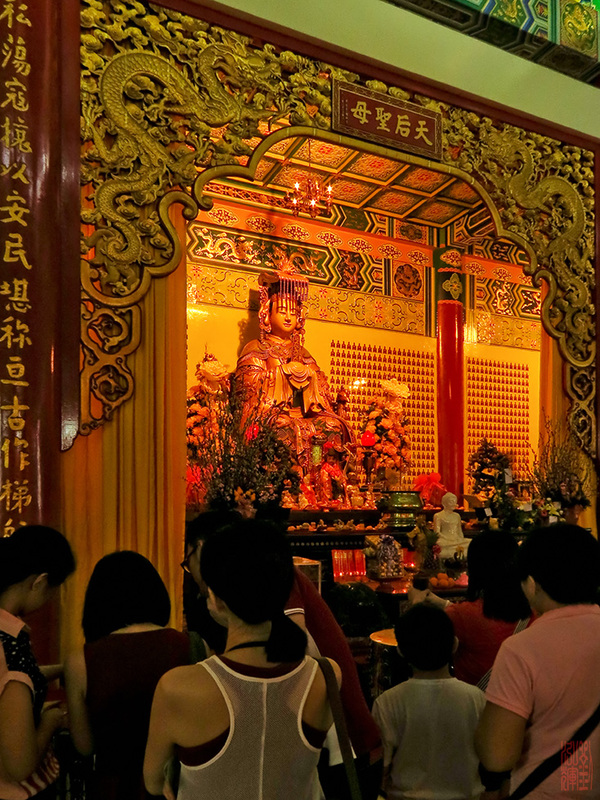 With various activities and performances lined-up, it is no wonder that locals and tourist throng the temple during Chinese New Year. 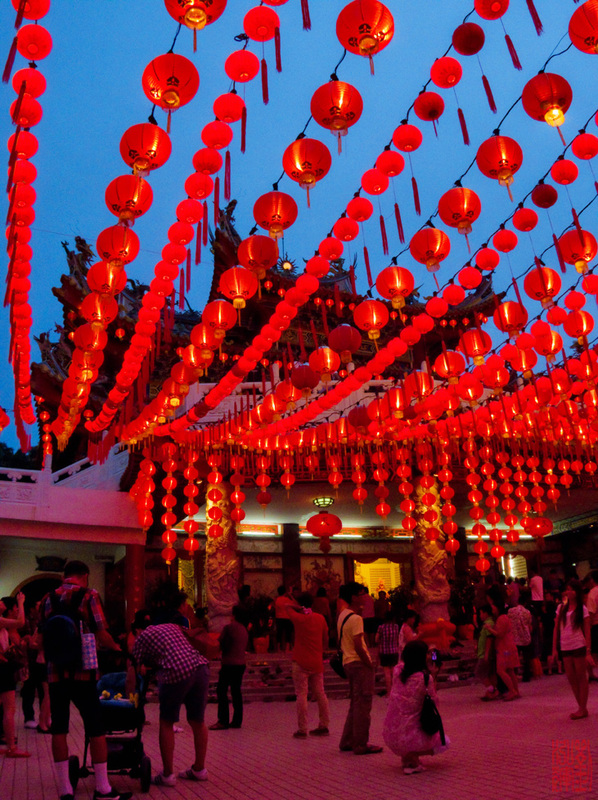 One of the main attractions during this festive period is the numerous red lanterns and lights that flood the temple with a warm glow at night. Thus the temple becomes especially crowded in the evenings and at night. 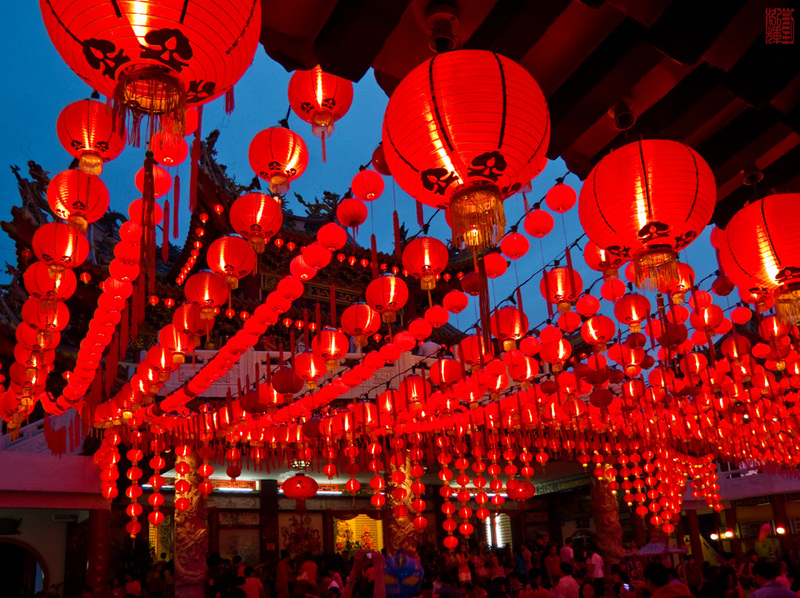 The red lanterns bathe the temple yard with its warm glow at dusk. Many come armed with their cameras and tripod to catch the lighting up of the temple. When we called up the temple regarding parking, we were told to park at Kuen Cheng High School and take the shuttle bus from there. However, the gates were closed and buses were parked inside, so we drove up instead. We did however, see a bus that appears to be the shuttle service from Midah Hotel. There was a queue, and for those driving a manual transmission car, be prepared to show off your clutch control skills as you join the queue up the steep road to the temple. Parking was not an issue and only cost RM3 per entry. Everyone was busy taking photos of themselves or relatives or the lights. There was a row of stalls along the road as you approached the temple, selling all sorts from firecrackers and fireworks to hand-held wind-mills, drinks as well as various snacks - the typical temple fair stuff. A sheltered shed nearer to the temple had the typical Chinese arts and craft items on sale like paper-cuts and calligraphy writings. First thing you see - a temple fair stall area. If you are running low on your Chinese New Year 'ammunition', you can stock up your supply over here. 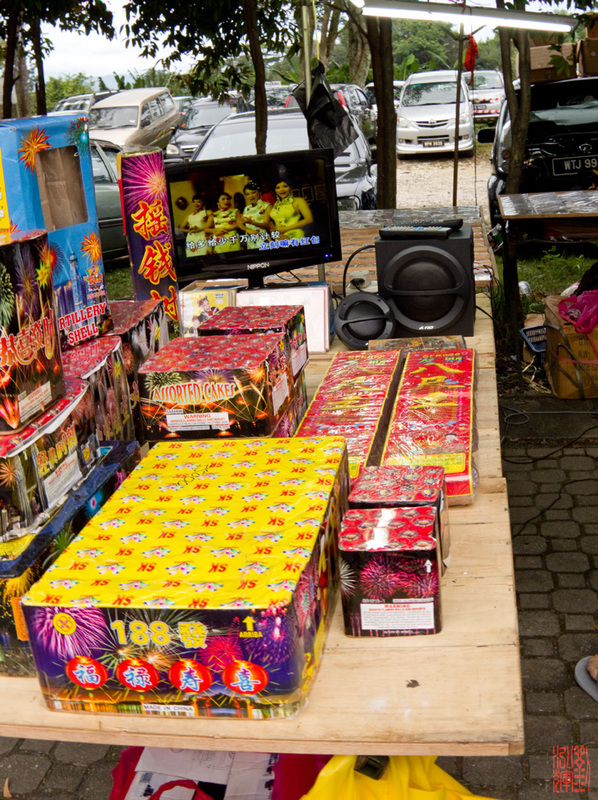 There's firecrackers, thunder bombs and those lovely multi-shot fireworks. The 188 shot thingy (yellow top) cost RM 350.00 a box! After going to up to the main shrine hall and taking photos of the lights that hung in the temple courtyard, we went to the air-conditioned auditorium for the free performance. This performance is scheduled at 3 pm and 8 pm every day for the entire 15 days of Chinese New Year, save for the last day where there will be another performance. 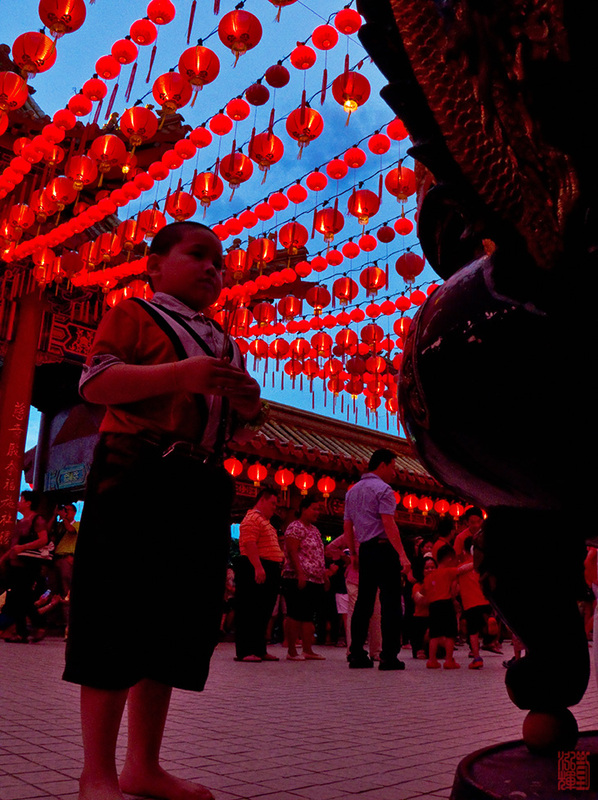 Little boy's prayer: Dear Mazu, please bless me so that I grow taller . I cannot reach the joss urn to stick these joss-sticks in. Thank you. 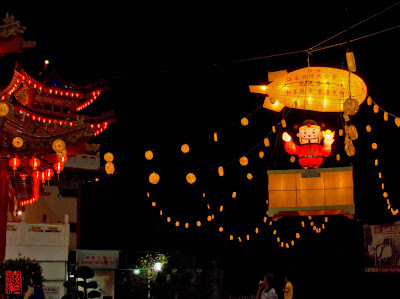 But Mazu was a busy deity that evening, giving out divination sticks inside the main shrine hall, as the line for the divination sticks were never ceasing. 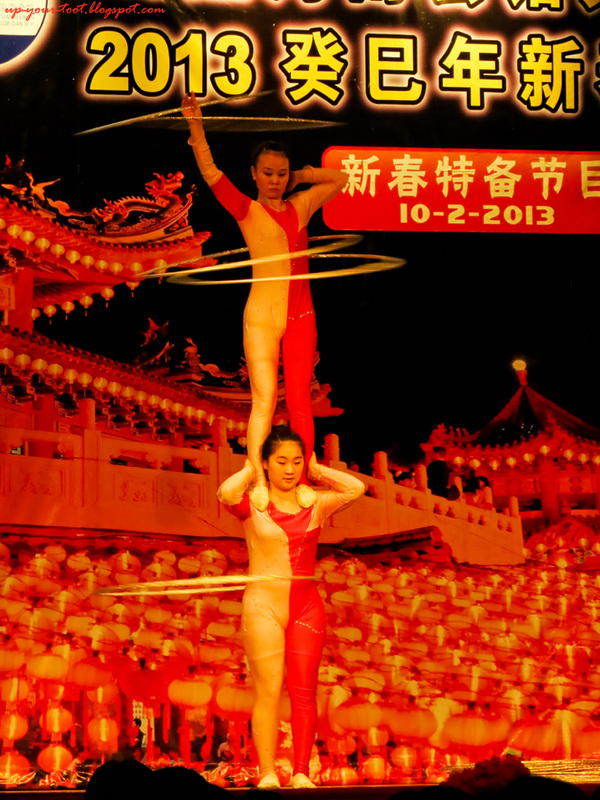 The 1 hour performance is by the Asia-Pacific Circus and Acrobatic Troupe and features the usual Chinese acrobatic stuns like mono-cycle bowl balancing act, acrobatic skating act, hula hoop act, diabolo (Chinese yo-yo) performances and a mask changing performance. 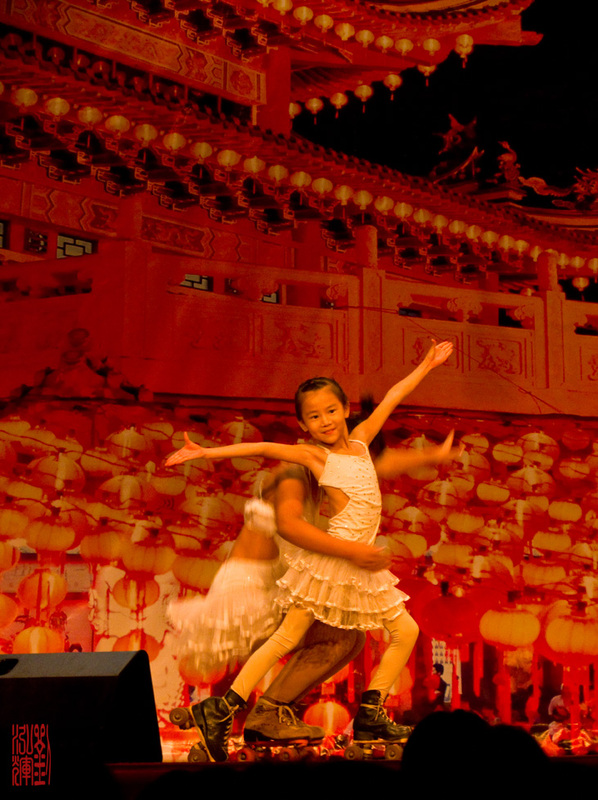 At the end of the show, the members of the troupe stand on the stage, and visitors can give them red packets (ang pow) if they wish to do so. She's an adorable kid - she was being flung about and spun by her co-performer tethered on wires and lines held by neck or teeth! Thank goodness this was not part of Physical Education syllabus in Malaysia! Three's a company, four is a crowd...seven is an acrobatic act?? A short clip of the mask-changing performance that is part of the 1 hour show. Keep your eyes trained on his face. 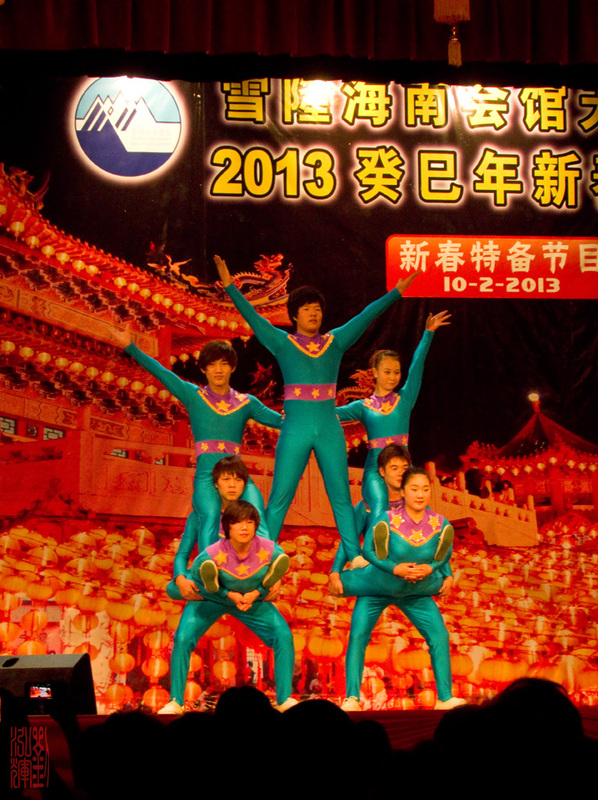 At 9 pm on the open-air stage outdoors, there was another performance of various Shaolin Kung Fu moves. Little kids seems to be attracted to this and the crowd grew quite large around this outdoor stage. As we left around 9.30 pm, there were still visitors who had just arrived at the temple. Most of them were taking photos around the 12 Chinese horoscope animals that were lit up with lights as well. The God of Wealth floating on a blimp outside the temple. His coins were 'streaming' out of his ride. Sorry for the late wish my internet connection tak de for more than a week. My KBB postings are usually scheduled even if I am not around. Thanks. It was a bit hectic, with work etc. I am in Penang for the Hokkien New Year last night. Good to see that you got your internet back. Hope you have a lovely time with your love ones.